I just love these 3 colors together. And making these fun starbursts and banner are so easy with the Big Shot and the Framelits! And one of these days, I will figure out how to properly photograph to get crisp, clear and accurately colored photos! Who wouldn’t be tickled pink getting this Birthday card? 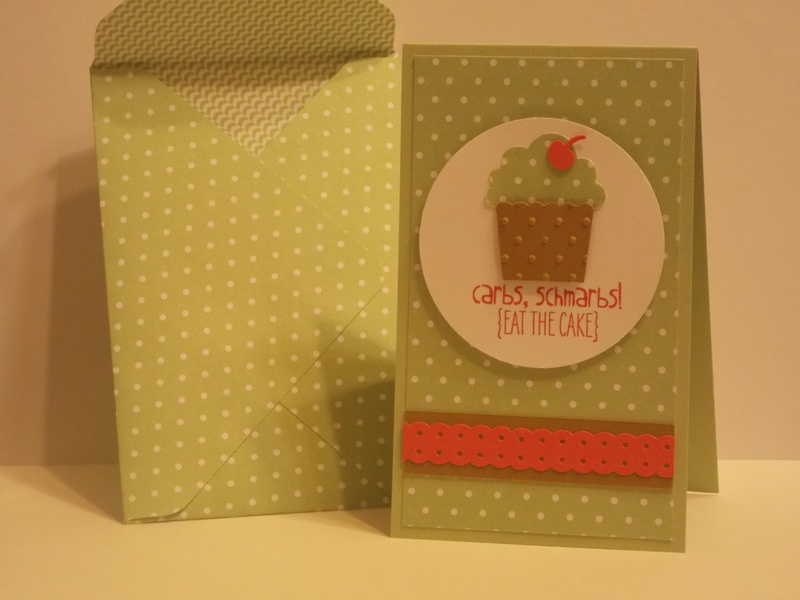 A fun size of 3″ x 5″ that becomes practical when using the Envelope Punch Board to craft the perfect sized matching envelope! Don’t forget I’m just an email away if you’d like to order something! 2 3/8" CircleBaked Brown SugarCupcake BuilderDotted Scalloped Ribbon BorderPerfect Polka Dots Embossing FolderPistachio PuddingpunchPunchesStampsStrawberry SlushYippee-Skippee! 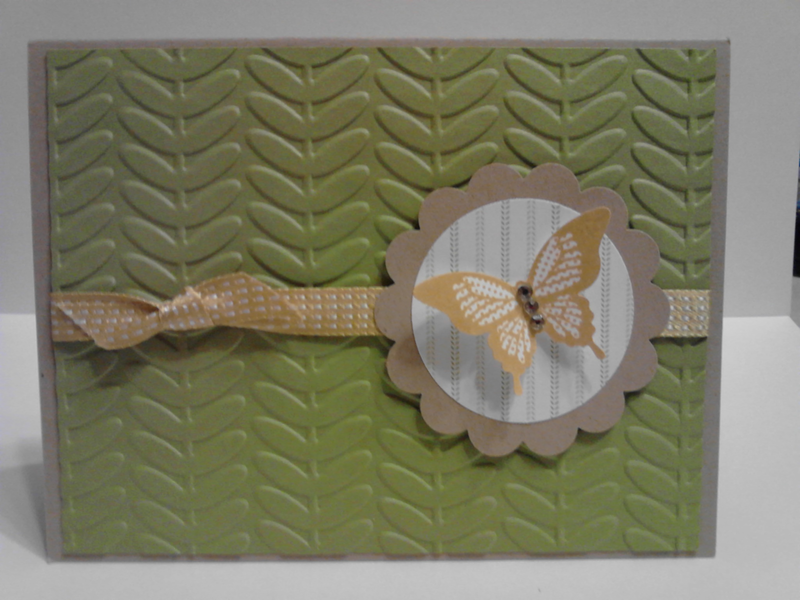 Today’s card is a quick and simple one using new*, current** and retired*** products. As always, feel free to send me an email anytime to jenniferarentstamps@comcast.net letting me know if you have any questions, or if you would like to place an order!